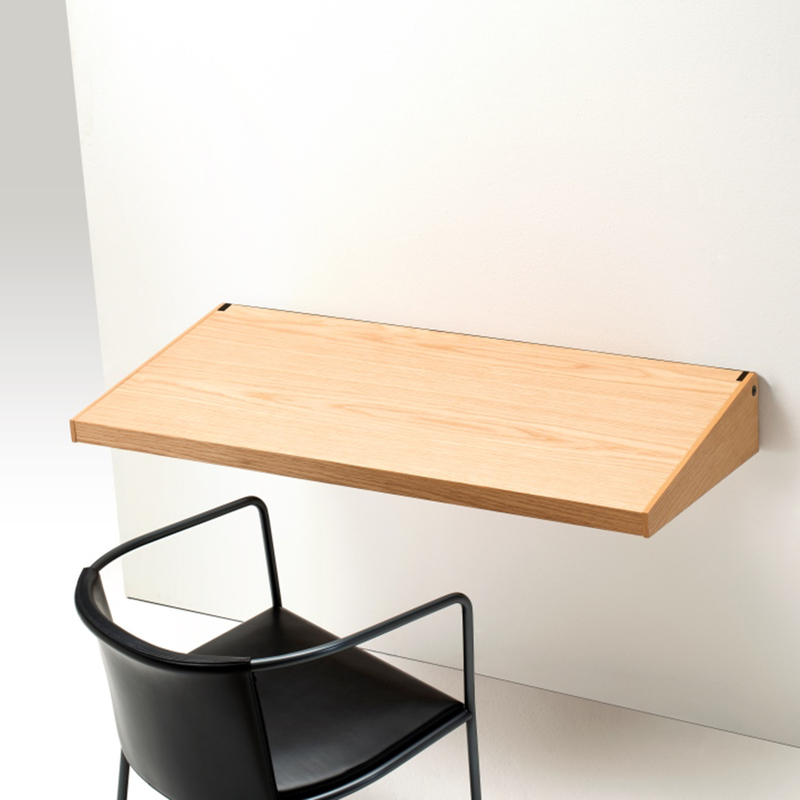 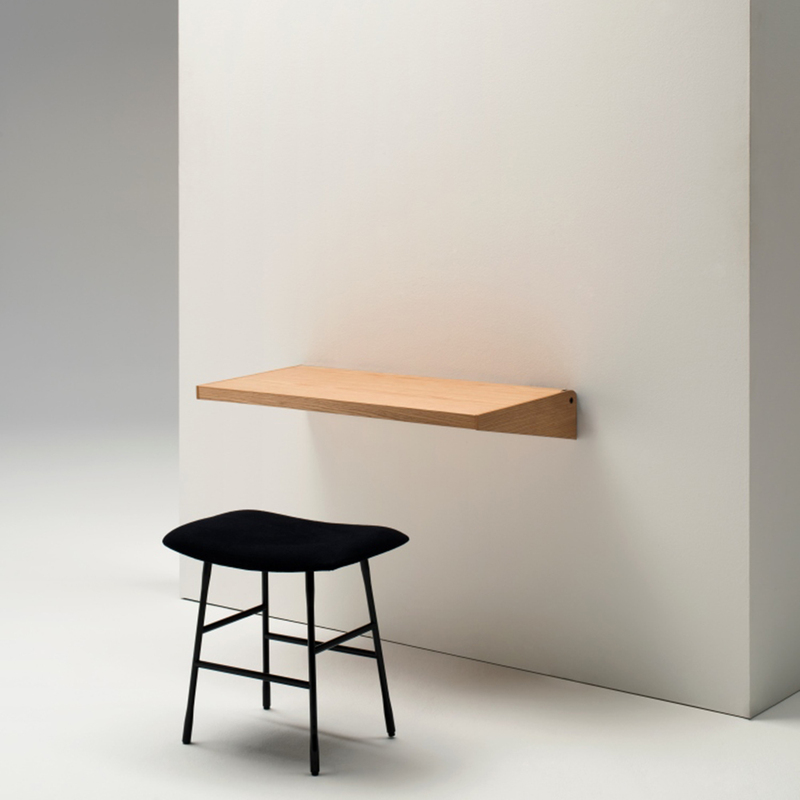 The Fju desk is a slim and simple wall desk. 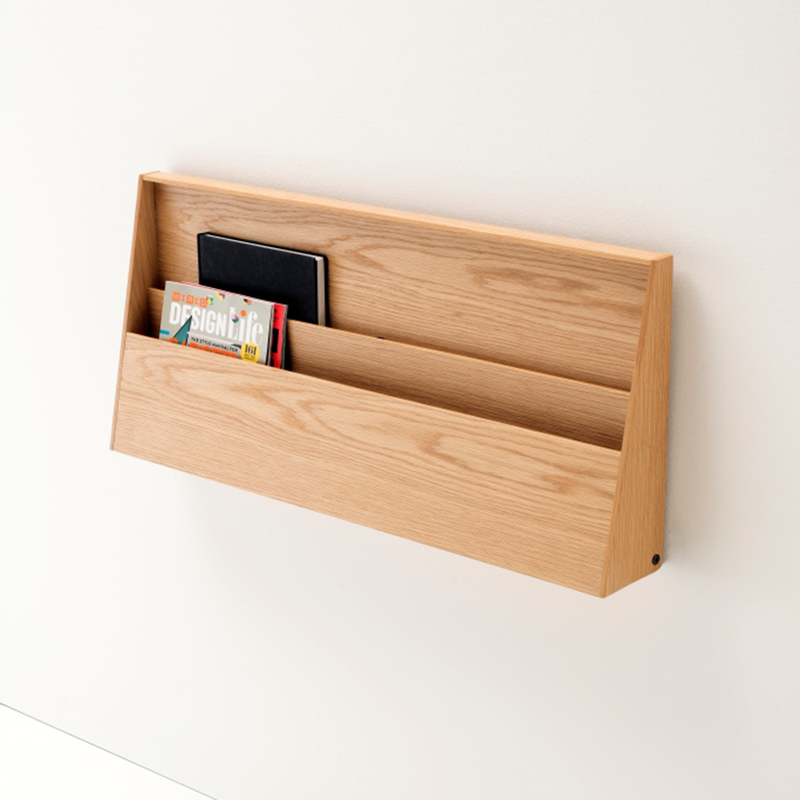 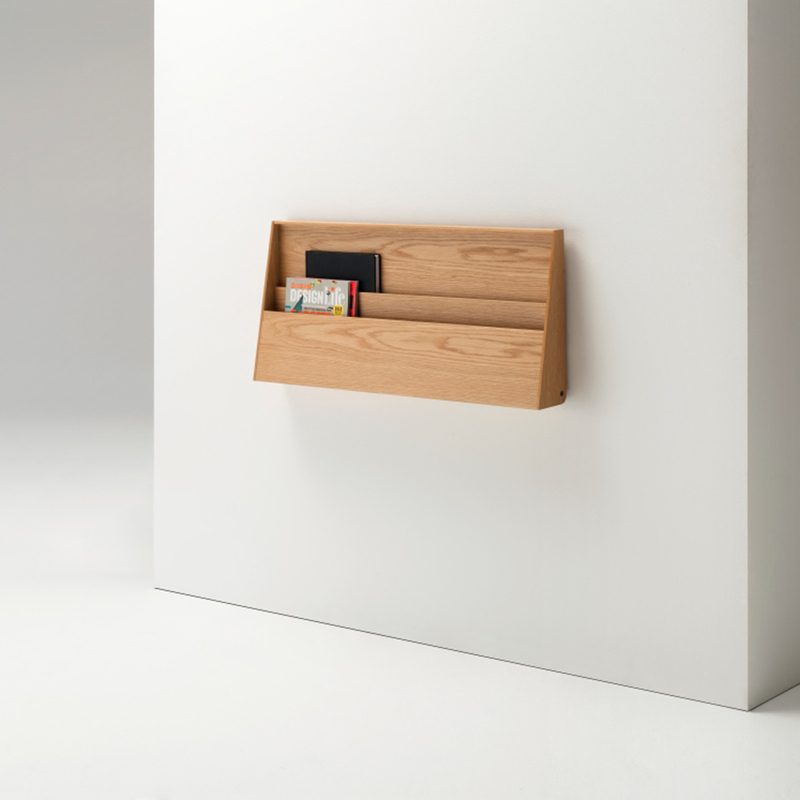 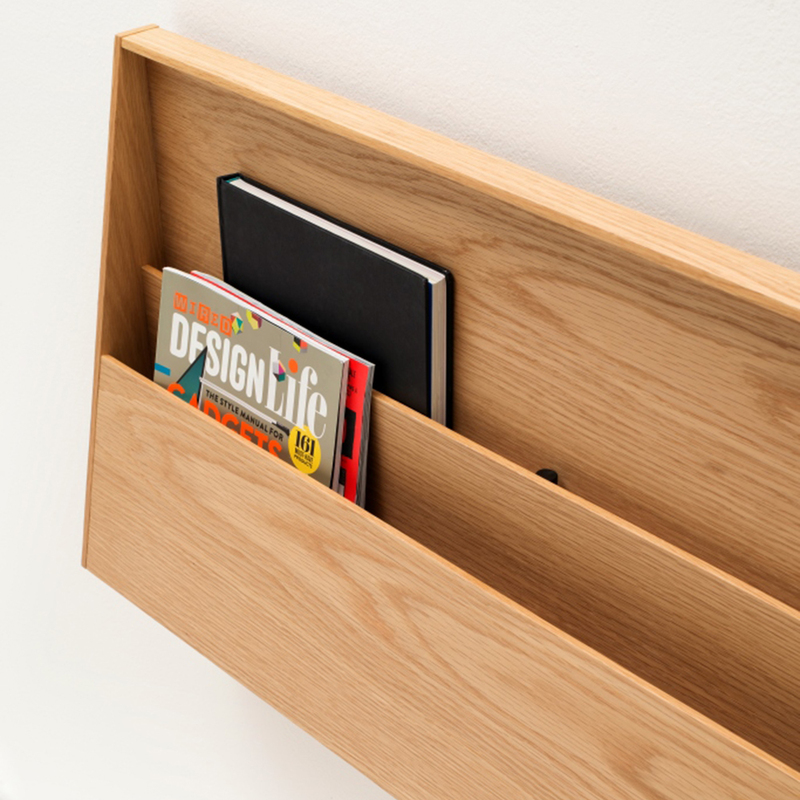 The space-saving design mounts to the wall and can fold up to make use of two tiers of storage or down to reveal its smooth writing surface. 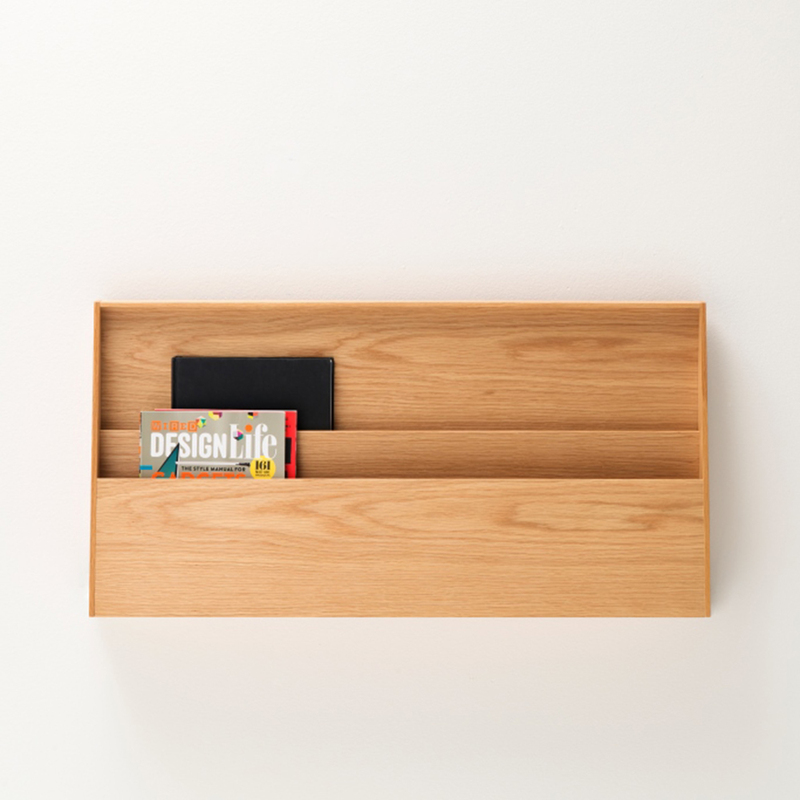 H5.19" W35.53" D5.19" H17.71" W35.53" D17.71"